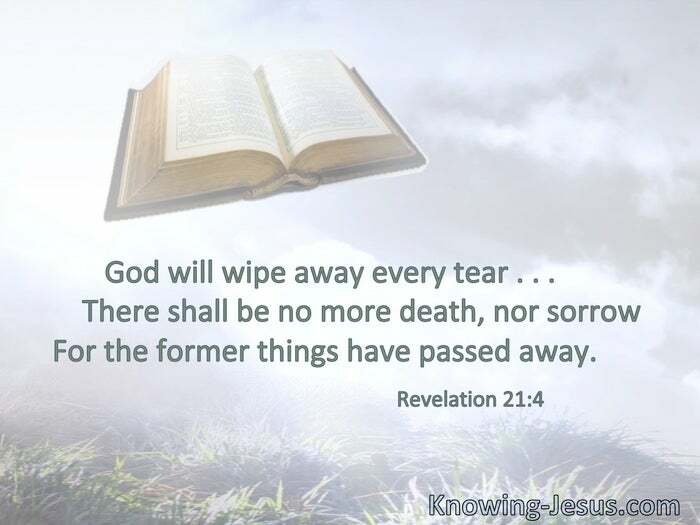 God will wipe away every tear . . . ; there shall be no more death, nor sorrow. . . . For the former things have passed away. He will swallow up death forever, and the Lord God will wipe away tears from all faces; the rebuke of His people He will take away from all the earth; for the Lord has spoken. 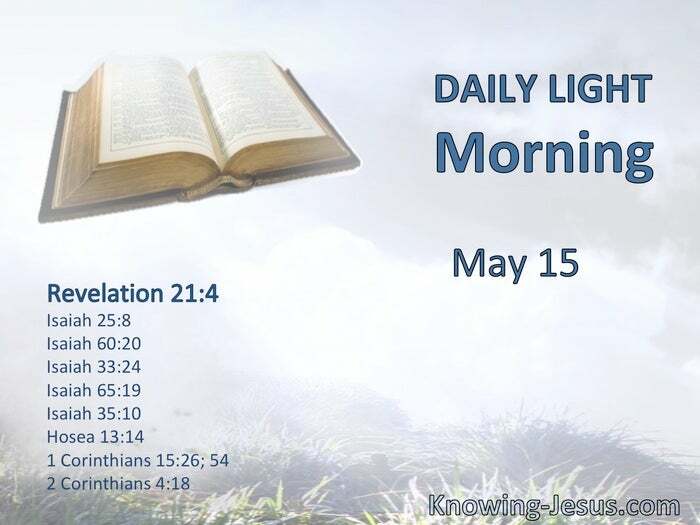 § Your sun shall no longer go down, nor shall your moon withdraw itself; for the Lord will be your everlasting light, and the days of your mourning shall be ended. § The inhabitant will not say, “I am sick”; the people who dwell in it will be forgiven their iniquity. § The voice of weeping shall no longer be heard in her, nor the voice of crying. § Sorrow and sighing shall flee away.